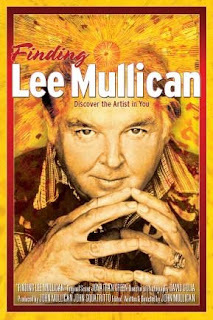 Blogging To, From, and About SFFF 2008: Find "FINDING LEE MULLICAN" ? I'm thrilled and honored to bring my feature documentary "Finding Lee Mullican" to Santa Fe, which will be my first film festival experience as a filmmaker. Romance and betrayal, inspiration and tragedy, humor and pathos highlight this extremely moving and intimate portrait of my father-- artist Lee Mullican-- and the discovery of the creative spirit that lives within all of us. I'm also looking for advice from fellow filmmakers! HELP! My feature film has been programmed with another title, which I'm thrilled about because it gives the viewer basically 2 1/2 hours of great film for one ticket. But the way the box office has been set up, they only list the first film for purchase. In other words, if you try to buy tickets for my film "Finding Lee Mullican," you must know the title of the first programmed film, "This American Gothic," or else. There are several films programmed this way. I've contacted the box office and they've been great in understanding this unique situation and will try their best, but also recognize the challenges this presents. Any advice on getting the word out so I fill my seats? Other filmmakers with double programming want to coordinate in helping each other? Thanks for your time.